My first book, The Reluctant Buddhist, was aimed at people who had encountered the practice of Nichiren Buddhism but who were deeply sceptical, as I had been, writes William Woollard. I wrote it in the hope that they might benefit from an account of my personal experience. And it seems to be fulfilling that role. It has now travelled all over the world and been translated into three other languages. 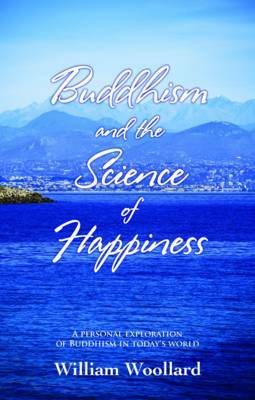 This new book, Buddhism and the Science of Happiness, is completely different. It is aimed at people who are unlikely to be interested in religion at all, let alone Buddhism. But who could well be fascinated by a discussion on happiness. So what’s this book about? Well, of course it’s about happiness, though perhaps ‘well-being’ would be more accurate. ‘There is more to happiness than financial security,’ today’s sociologists tell us – only to find themselves echoed almost word for word by David Cameron, with his New Conservative rallying cry of there being more to life than GDP! So the happiness issue has become a key question of our time. But what do we really mean when we talk about the nature of human happiness? That, essentially, is what this book is about. It’s not a handbook, ten things that will instantly make you happy. It takes us on a journey, trying seriously to piece together an understanding of this elusive stuff we call happiness, starting with the kinds of things that Buddhism has been telling us for several hundred years, and then moving on to look at the insights that have come from the latest scientific research. One of the many stereotypes that surrounds the general perception of Buddhism in the West is that it’s very much about giving things up, or about introducing a kind of spare asceticism into our lives. The fact is that almost the reverse is true. Buddhism is focused on increasing our experience of the richness of our lives, and in the process it talks to us a great deal about happiness. It is alone among the major world religions in proposing the extraordinary idea that happiness in our lives isn’t a matter of chance or accident as we commonly believe, something that comes to us if we happen to be particularly lucky or fortunate, but that essentially it’s a matter of choice. Indeed Buddhism goes further, arguing that we can all learn how to make that choice. The learning process involved, it declares, is neither particularly difficult nor exclusive, nor is it dependent upon our circumstances. You don’t have to be well off, or intellectual or indeed religious in any way. Clearly that is an astounding life-changing idea, if it stands up, and one that is worth discussing at any time since we’re all keenly interested in the idea of happiness for ourselves and those closest to us. It is an idea of particular relevance to the times we are living through. Why do I say that? Because never before in human history has there been so prolonged and so focused and so combined an effort, by the sociologists and the psychologists and the neuroscientists and others, to unravel what it is that allows this sense of well-being to emerge in our lives. So on this journey we look at both the classical Buddhist view and the modern scientific view of happiness. And the quite extraordinary conclusion is the extent to which ultra-modern science echoes, mirrors, amplifies and elaborates the kinds of things that Buddhism has been talking to us about for hundreds of years. So I believe it is a journey well worth taking.